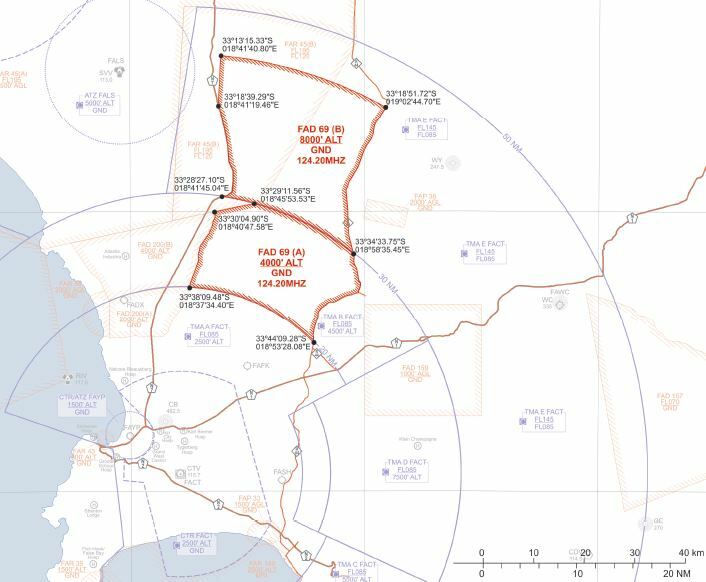 A new General Flying Area comes into effect on 26 August 2010. Please familiarise yourself with the details. Study the map and ensure you know exactly where this new airspace is. The radio frequency when operating in this area will be 124.200MHz. Here is another map to help you visualise the area. 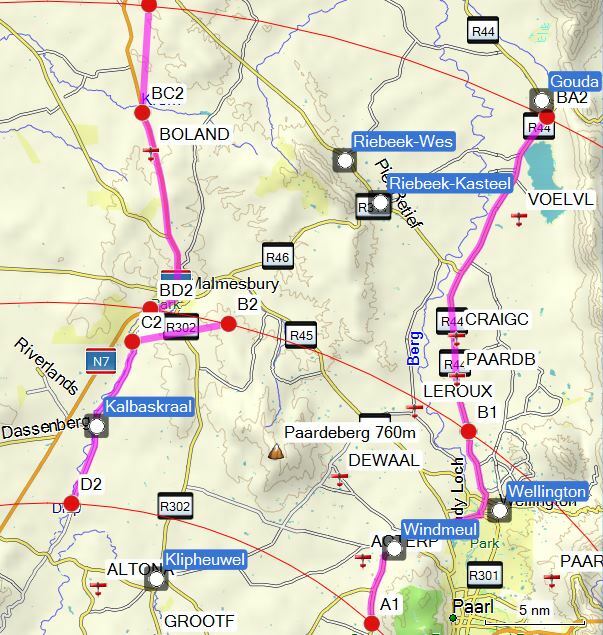 Some known airfields and towns have been added for your info. My recommendation when flying in that general area, is to have your GPS set on "GOTO" VOR-CT with the distance indicated in Nautical Miles (NM). If you are between 20NM and 30NM from VOR-CT, then you are in the FAD69 (Area A) which stretches from the Ground to 4000 feet altitude. If you are between 30NM and 45NM from VOR-CT, then you are in the FAD69 (Area B) which stretches from the Ground to 8000 feet altitude.